I took this photograph on July 3d in 2003. It happens every year, though. 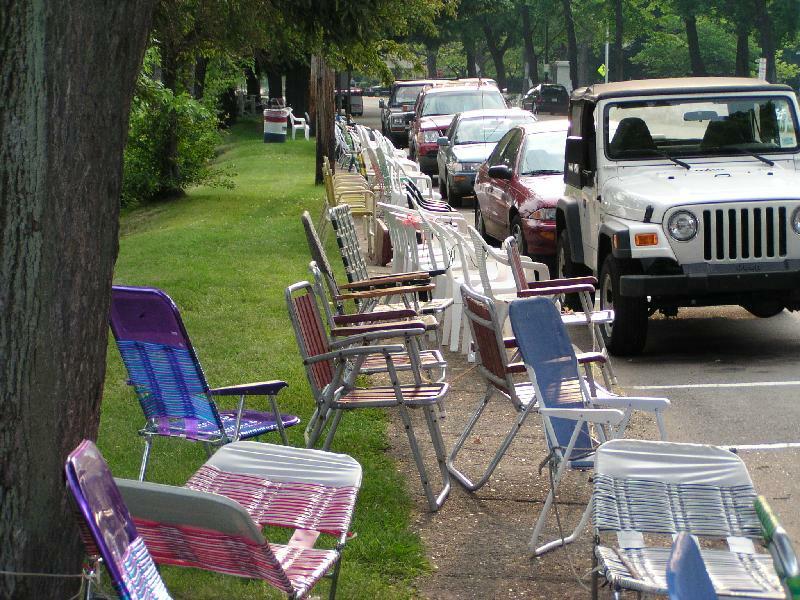 Chairs line the street days before the start of Warren’s annual 4th of July parade. I started noticing chairs lined up along Pennsylvania Avenue last week. I have heard about this but never have seen it. We have never been to the Warren parade. We don't live far from there.